Situated on Spain’s Costa Dorada, Tarragona’s temperatures still stretch up to 18°C well into the middle of October. 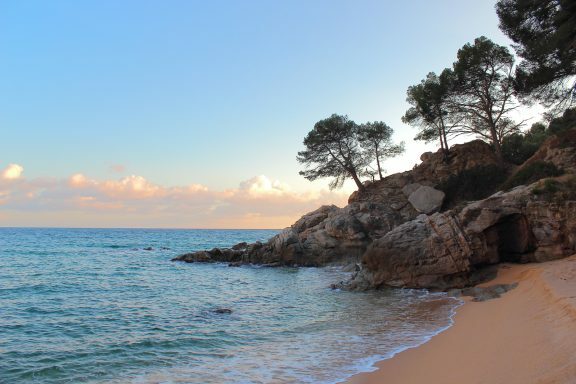 The city has a 15km coastline and visitors will be delighted to hear that many of the beaches are situated along the Penedès Wine and Cava route. This means plenty of wine related activities close by, such as the famous grape-stomping harvest which traditionally takes place in September. 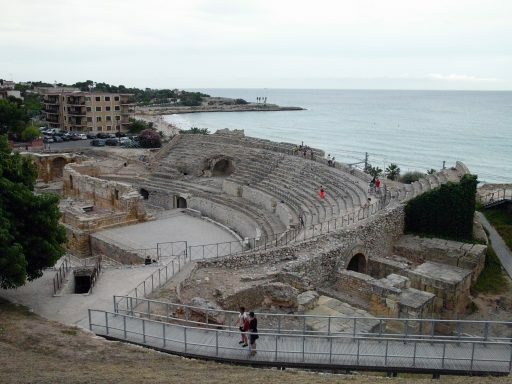 Tarragona is also home to the largest Roman remains outside of Italy, with the city walls, amphitheater and Roman Circus still standing – all of which are well worth a visit. Spain’s second largest city pairs beach time with retail therapy, which in our eyes makes it a hit all year around. However, the autumn is a particularly good time to visit as it’s when La Mercè takes place. Barcelona’s largest festival falls on 24th September and the surrounding days can see up to 500 different events scheduled around the city. A particular highlight is the Procession of the Fire Breathing Dragons or the Carrefoc as it is known locally which sees dragons, devils and monsters parading the streets and scaring people with fireworks. There is also the Gigantes, when giant figures of kings and queens parade around the streets and the Castellers in the Gothic Quarter, where locals compete to see who can make the largest human towers. If a good old fashioned beach break is what you’re after, Fuengirola is the answer. Mid-October sees temperatures well into the twenties and if your children aren’t yet old enough to be constrained by term timetables, it’s a great all round family resort. Les Boliches beach is the main draw for visitors, with ample sunbeds and plenty of water sports. Dolphin spotting trips can also be arranged along the beachfront. If you can bear to tear yourself away from the sunbed, Bioparc Fuengirola is a fantastic destination where animals live side-by-side in areas that resemble their natural habitat. The fun doesn’t stop in Benidorm when summer ends. In fact, it isn’t until the start of November that temperatures dip below the twenties and the nightlife keeps on going well after that point. 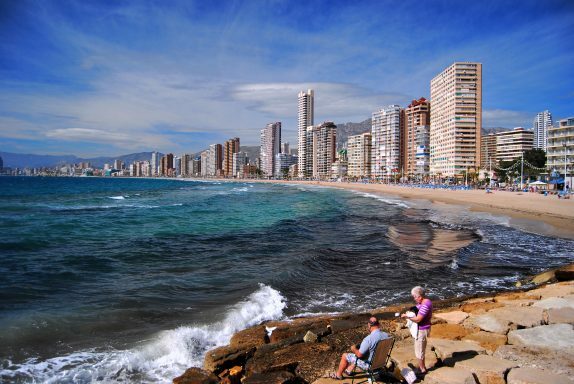 With cabaret, karaoke bars, discos and drag, there’s no such thing as an evening spent in Benidorm twiddling your thumbs. The day light hours are just as jam-packed, with many fantastic theme parks close by, like Terra Mitica, Aqualandia and Mundomar. With so much to do, make sure you set aside at least one beach day. Levante is the party beach, packed with watersports and play facilities, while Blue Flag awarded Poniente has gorgeous golden sands and fewer crowds. 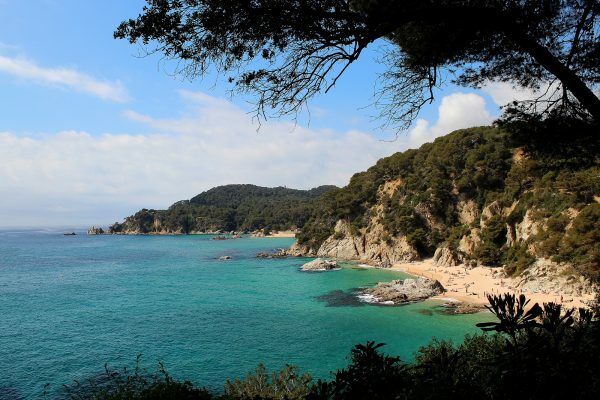 Still sunny in September through to October, Lloret de Mar is a popular resort for an autumn getaway. Perhaps this is down to the fact that visitors have 10 fantastic beaches to choose from, all with crystal clear waters and many fantastic spots for divers to explore. The resort contains a lively water park, Water World, and the Universal Studios Port Aventura theme park is a short drive away. Golfers will be thrilled to discover two 18 hole courses within Lloret and for younger children mini golf can be found at Gnomo Park, which also boasts splash pools and trampolines. When do you prefer to take your holidays? Let us know in the comments below and follow us on Twitter for great deals all year-round. 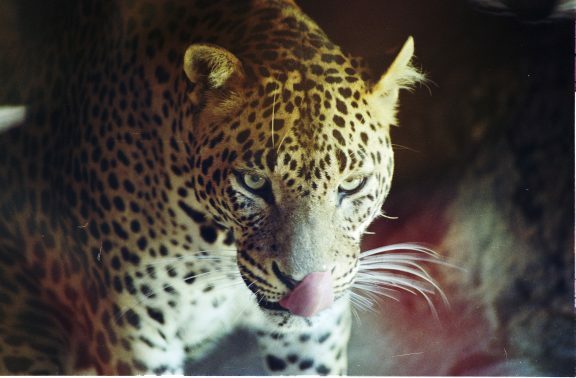 Images by Albert Torello, Passion Leica, GorissenM, Stephen and Albert Torello via flickr.